Endless demand for wireless data and recent advances in technology is setting the stage for the future: the Internet of Things (IoT) and artificial intelligence (AI). These developments depend on the infrastructure and support of the next generation of wireless connectivity, 5G. The current 4G/LTE network of macro cell wireless towers cannot provide sufficient coverage or bandwidth to meet the needs of 5G. The communications industry is deploying tens of thousands of small cell antennas to supplement the existing wireless infrastructure and pave the way for 5G. By blanketing an area with small cell attachments on utility poles, street lights, and other joint use assets, carriers will form dense networks that can improve network capacity up to 1,600 times, and improve network performance by 315 percent. Today, nearly 2.8 million small cell units are deployed globally. By 2025, that number is predicted to reach 70.2 million. The annual number of small cell attachments in the United States, which amounted to about 13,000 in 2017, is expected to increase to 100,000 and perhaps even 150,000 this year, according to the latest FCC numbers. The number will leap to an estimated 450,000 by 2020 and 800,000 by 2026. Small cell deployment requests are hitting utility companies and other joint use asset owners nationwide. Recently, asset owners are being bombarded with small cell attachment inquiries as well as permitting requests from wireless carriers and their multitude of contractors. What are Small Cell Attachments? Small cell antennas operate on the same radio access technology as WiFi, Bluetooth, and 3G/4G (LTE). Much smaller in size than standard macrocell towers, they require minimal power to operate, have a shorter range, and handle fewer concurrent calls or sessions. Their size makes it easier to install on light poles and atop buildings. There are three types of small cells, which are typically defined by their range of coverage: Femtocells, Picocells, and Microcells. While most traditional attachments are limited to cables, small cell requires several pieces of equipment: an antenna, a power source, energy meter housing, a disconnect unit, backhaul equipment (dark fiber, lit circuits, cable TV, or wireless), and a weather-head from the meter shell up the pole into the power zone. How is Small Cell Different from DAS? DAS has been in use longer than small cell, and is often considered the “original” small cell. While DAS and small cell share similar outputs, coverage areas, and size, they are different solutions for different needs. They are often viewed as complementary technologies. DAS can support multiple frequencies (2G, 3G, 4G/LTE, 5G, VHF bands), can be shared by multiple carriers, and use one central power supply for multiple nodes. Small cell typically supports a single, defined frequency. Small cell supports a few dozen simultaneous subscribers, and is designed to deliver coverage and capacity over a relatively small area (similar to a Wi-Fi access point), while a single DAS base transceiver station can serve up to approximately 1,800 users and provide a coverage radius of several miles by adjusting the power to the antennas. Small cell architecture requires all related equipment to be positioned on the pole, interconnected, and grounded according to the pole owner’s requirements (and NESC or state guidelines). Small cell installations are ideally placed at the top of the pole—above the power space—to minimize radio interference. Small cell deployment on existing joint use infrastructure can create challenges, including overlashing, safety, pole loading, and engineering design. Good design and engineering are crucial to successful small cell deployment. Without a common set of industry standards and procedures for small cell installation, the joint use industry is doing its best to manage the sudden rush. Read more information about how joint use owners and attachers are adapting to change in our article, Managing the Explosion of Small Cell. While there are not industry-accepted guidelines for small cell installation, 20 states have enacted small cell legislation to date, and the FCC’s Broadband Deployment Advisory Committee is working to address small cell in its State Model Code for Accelerating Broadband Infrastructure Deployment and Investment. While the FCC doesn’t regulate pole attachments in every single state, it is likely that municipal utilities, cooperatives, state-managed utilities, and others will follow the FCC’s lead of regulations. The FCC is motivated to speed up Americans’ access to 5G coverage by cutting small cell deployment costs and timelines. Joint use departments await the development of comprehensive guidelines and legislation for small cell deployments, but in the meantime asset owners can ease small cell attach permitting tasks by streamlining their joint use processes. Using an asset data management system can streamline joint use processes in order to consolidate data in an easily accessible format, enable secure asset data sharing, integrate joint use data with other internal systems like GIS and accounting, and develop efficient workflows that automate tasks. A significant step in making small cell deployments easier and less resource-intensive is to simplify joint use asset management by utilizing a centralized platform. 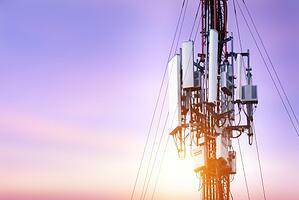 The backhaul shares a very important role in the deployment of small cell. High performance of fiber is crucial to successfully deploying small cell and keeping consumers happy. Optical fiber is the most favored method of backhaul for small cell deployment because of its range, capacity, and bandwidth. In some places, fiber may be impractical, expensive, or too time-consuming. For more information about backhaul considerations and challenges, read our post on backhaul and small cell here. The recent advances in internet technology is setting consumers and companies up for the future. Predictions indicate that the Internet of Things (IoT) and artificial intelligence (AI) will grow increasingly popular in the coming years. For example, small cell is the key to tapping into the full potential of smart cities, in which sensors will perform a multitude of functions that increase efficiency, save money, and improve public safety. Smart lighting (in smart cities) will automatically dim public lights on empty streets and turn them back on if a person or vehicle appears. Traffic lights will respond to actual traffic, reducing congestion. Drivers and passengers will be able to use apps to access real-time information on parking spaces. Read about other key predictions in our recent article: 6 Ways Small Cell is Impacting the Future. All factors indicate that the growing deployment of small cell attachments will quickly intensify, presenting challenges for asset owners and attachers/renters. Logical procedures and strong coordination between all parties involved are the keys to managing deployment as smoothly as possible. Over the coming years, small cell technology will continue to proliferate, creating a dense 5G network that is capable of supporting the IoT, self-driving cars, and thousands of streaming devices in a single concert stadium. Small cell is the next big transition for the joint use industry. If you need help managing small cell attachment requests or managing asset data for quicker small cell deployment, contact Alden to speak with a Product Specialist.